Here are two cards I did for the Mojo Monday Challenge this week. Darling! Your cards are so creative and sweet. Hugs! How cute!! I especially love those mini seed packets. Great card!!! 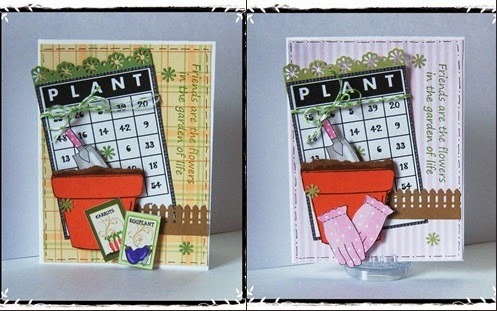 Love the trowel sticking out of the pot and the cute seed packets!